Are You an Expert? Does Google Know? 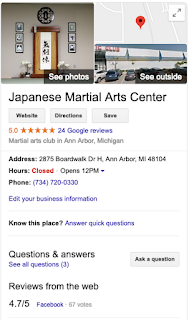 As a part of our OnlineMarketing Michigan initiative, establishing authority and expertise has become one of the best tools for improving Google search ranks. If you’re an authority in your field, if you have good advice and are knowledgeable in your industry, Google loves that and potentially will reward your website with higher SERPs. The trick is getting Google to notice that you’re an authority. Your content needs to be top notch, written well, with cited sources. You don’t want keyword spamming and you do not want to present speculative unfounded statements as fact! For example, say you’re a therapist writing about a particular treatment, it’s a good idea to include links to respected publications and journals. This is just like citing a source for a term paper in college! Google sees that link, sees where it leads, crawls that website and if done right will lend extra weight to your article! Have You Made a Google My Business Post Yet? Remember that old Google Plus account you had and probably never posted on? Well, it’s dead. Google has killed off Google Plus and replaced it with the much more powerful and more engaging Google My Business! Claim Your Profile and make sure all of the necessary information from the name of your business to your hours of operation to the products or services you offer is accurate and up to date – but don’t stop there! Google My Business is like having a free advertising platform at your fingertips. 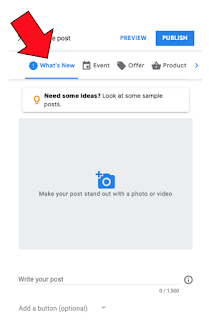 Google lets you craft news UpdatePosts, Event Posts, Special Offer or sale posts, and Product Posts! 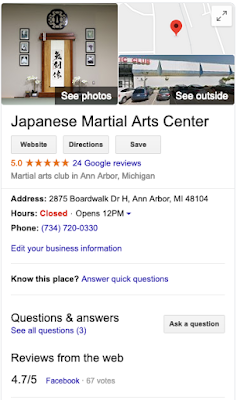 People searching for your goods or services can see your Google My Business profile in the info panel, see your posts and products and even schedule appointments or make purchases right there from your GMB profile! That means you could actually be losing potential customers by not having your Google My Business profile claimed, thoroughly optimized, and by not posting at least once a week! CLICK HERE to learn more about Google My Business Posts. Do you even E-A-T your Y.M.Y.L. Website? Your Money Your Life websites are held to a pretty high standard by Google and other search engines. If your business is offering health tips and services or if you’re providing financial planning or investment tips – heck – even if you’re a mechanic making a model or tire brand recommendation – you could fall under the Y.M.Y.L. category. This opens your website to extra scrutiny by Google as they try to stamp out harmful misinformation or junk information! As part of our Online Marketing for Michigan Businesses initiative, we’ve seen that if you have a Y.M.Y.L. website and your content isn’t of a high enough quality that establishes your Expertise, Authority, or Trustworthiness – E-A-T – Google could actually punish your content or not rank it as highly as one of your competitors! CLICK HERE to learn more about E-A-T and how you can help turn your Y.M.Y.L. website content around! Claim Your Google My Business Profile & Engage Potential New Customers! Effective April 2nd 2019 Google+ will be dead. You won’t be able to post there, all of that relevant information and valuable SEO material including business location, hours of operation and services will be moved over to Google My Business – but you need to Claim Your Profile! This is a very exciting and powerful new tool Google is giving to businesses for free. Not only will is potentially improve your SEO results, but if you’ve properly optimized it – your business may appear in a special information panel because Google will recognize YOUR business ahead of your competitors! But before you start posting – you’ve got to Claim and Optimize your Google My Business Profile. Click Here to learn everything you need to know getting your profile ready for posting! THIS is Why You Need to Post on Your Google My Business Profile! What if we were to tell you that there was a way for a potential new customer to not only discover your business but what you have to sell, see what’s new, AND possibly even purchase a product or schedule your services – FOR FREE? You’d think we were nuts, but we’re not nuts, we’re merely talking about Google My Business. Not only is Google My Business good for your SEO profile, but it gives you the opportunity to post news, events, products and promotional offers customers and potential new customers can redeem right there in that profile without ever going to your website! The way you need to treat Google My Business Posts is like it was Free Advertising! Now all you got to do is post! Click Here to learn EVERYTHING you need to know about how to post to your Google My Business. Have you claimed your Google My Business Profile? You Need To! Google is giving local businesses like yours an incredibly powerful tool to help you market your businesses to potential new customers – Google My Business. Better than Google+ - your Google My Business profile can actually appear in Google search results! This will let people searching for your products or services be able to see relevant information about your business but also if you have an event, a sale or discount product or service. Meaning: people can schedule an appointment, purchase, or contact you directly without them going to your website! But if you want your business’ Google My Business profile to appear in search results – you have to optimize your profile! CLICKHERE for a complete guide to getting your business listed in Google’s search panel! Do yourself a favor and post on your Google My Business Profile! Now that you’ve claimed your Google My Business profile and optimized it – you need to use Google’s new platform to its fullest potential – you have to POST on it! Do you have news about your business? Is you company hosting a big event? Did you just roll out a new product line? Are you having a sale on a specific item or discount on a service you provide? This is where you can tell people all about it! CLICK HERE to learn more about how to craft your Google My Business Posts as part of your internet marketing plan!